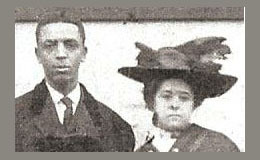 My grandparents – Albert B. Cleage & Pearl D. Reed Taken from a 1909 group photograph at Witherspoon United Presbyterian Church. 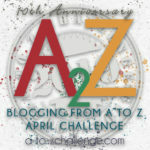 Today begins the 2014 April A-Z Challenge. I will be blogging everyday using items taken from the letters written by my grandfather to my grandmother from 1907 to 1912, starting with “A” and moving right through the alphabet to “Z” during April. 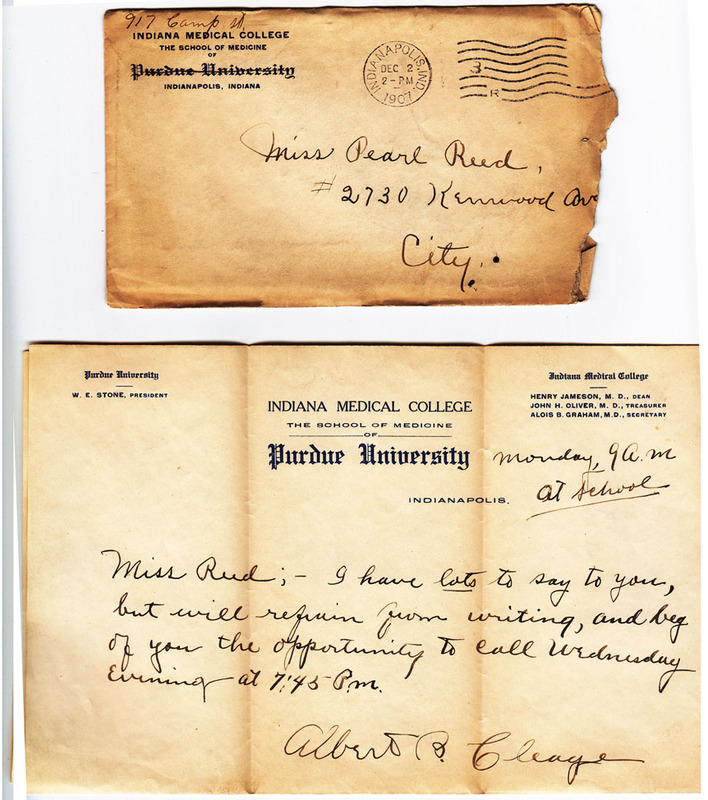 Albert B. Cleage’s letters begin in 1907, shortly after he met Pearl D. Reed. The letters end in 1912 as they prepare for a move from Indianapolis, IN to Kalamazoo, MI. This is the first letter in the collection. Miss Reed; – I have lots to say to you, but will refrain from writing, and beg of you the opportunity to call Wednesday evening at 7:45 P.M.
Albert B. Cleage. 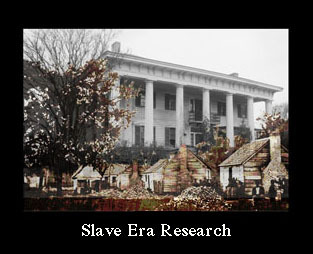 This photograph was enclosed in a later letter. My grandfather was born Albert Cleage in Loudon County, Tennessee on May 15, 1883. He was the 5th and youngest child of Louis and Celia (Rice) Cleage. His parents were born into slavery and were free after the Civil War. They married in Athens, TN in 1872. 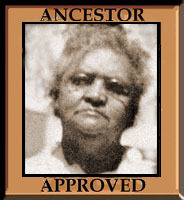 By 1880 the family was living on a farm in Louden County, TN. Louis sharecropped 15 acres. By 1891, the family was back in Athens. Albert was 8 years old. His parents were divorced and in 1897 his mother was married to widower Roger William Sherman, a successful carpenter. His father worked at laboring jobs in various places, from the railroad to the mines of Birmingham, AL. In 1902 my grandfather graduated from Henderson Normal and Industrial College in Henderson, NC where his brother-in-law was teaching. He attended Knoxville College 4 years where he played football and wrote for the school paper in addition to studying. On the way to one of these schools my grandfather decided that he needed a middle name and chose the name of “Buford” from a sign he passed on the train going to school. 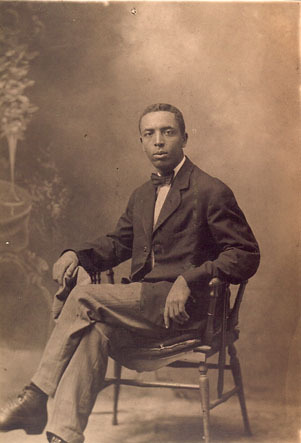 In 1906, after graduating from Knoxville College, he followed 2 of his older brothers to Indianapolis, IN and attended the Indiana University Medical School. In 1907 Albert, his brothers and my future grandmother all signed a petition asking for the formation of Witherspoon United Presbyterian Church. During the summer of 1909 he worked as a waiter on the steamer, Eastern States which ran from Detroit to Buffalo NY. The money he earned funded his college education. He graduated with his MD on September 1, 1910. He received appointment as an intern at the City Dispensary. On September 21 he and Pearl Doris Reed were married at her home. I know. It’s a combined family effort – cousins and other relatives find things, or leave me things as the collector of family history. I know from your Sepia posts that we are in for a treat with your letters as you have so much information about your family. I’ll read all your posts even if I don’t comment every time. That works for me. Sometimes a comment that matter just doesn’t come to mind. Stopping by on the first day of the #AtoZchallenge because we are close numbers on the participation list. What a wonderful surprise to find your theme and great visual support for your family history. I know you will make lots of new blogging friends during the challenge. I’ll be back. I enjoyed our blog too, Stepheny. Anytime I see letters like this, I wonder how our ancestors will view our generation. Will they be reading our Facebook status updates and Tweets to gain insight into us? It doesn’t seem quite as personal as handwriting, but I guess they’ll be able to see every little detail of our lives! Sometimes I can’t believe all this will still be up and available in 100 years. I think I better leave a few letters for the descendents! Kristin…I am in love with the first letter. It is so refreshing to see how men approached women back in the day…oh, if we would head back in that direction. Thanks for sharing with us. Yes! Sometimes I wonder when and how things went so terribly awry. Knowing what was happening in my family does make the larger history more interesting. You are so lucky to have letters written by your grandparents. I would give anything for that. My family seems to have written a lot and saved it. Except I don’t have the letters my grandmother wrote back. Yes, we get to know our grandparents and parents in a way we never knew them. Wonderful post Kristin thank you! Sepia letters no less … ah! I have kept some correspondence and photographs from way back when – I’m inspired to check them out when I get home and April is over. I hadn’t thought of them that way – Sepia letters, but you’re right. I’m glad you’re inspired to reread your own hoard. What a wonderful theme. Can’t wait to read more. I’m glad I found you through A-Z and will definitely be following. 🙂 My other half has a family history going from Missouri all the way to Liberia and knows much of it – it’s always interesting to see pictures and hear the stories. I love the stories and photos too – mine and others. This post is fascinating. What a spectacular and heart warming selection of theme. I shall drop in again…and again. Happy to have you drop in any time! What an enormous treasure to still have such old letters from your own family! I will pop by again throughout the a-z, to read more stories! These were so Wonderful….and complete. It told a lot about their relationship. I felt like I was peeping into what Black Life was like in the early Century. Loved how their relationship blossomed. I have so many questions. Like what happened to Pearl’s Mom so soon after her marriage? Just like Daddy, his Mother didn’t get to know any of us. They were so close. His older brother’s worked in the mines of Birmingham as well. Don’t know what happened to much to Uncle Obie. He was a Rev there as well. These were very special and Thanks again for sharing. Those are some great gifts you have. And we’re only up to the letter G! There is the whole rest of the month and the alphabet to go. Keep reading and you will find some answers.